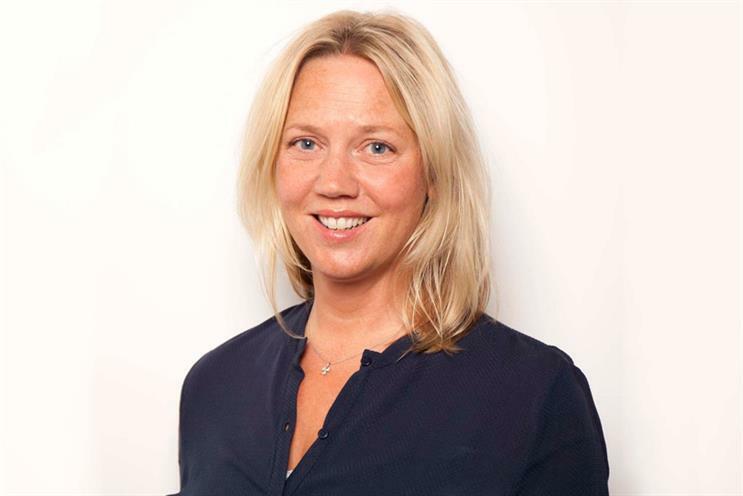 Four months into her role at the Financial Times as EMEA client director B2B and head of global insight, Laura Milsted has no regrets at leaving agency life behind. It’s a good start to the week when my train arrives at London Bridge on time. I take this as a sign that it’s going to be a great week. Anyone that wrestles with a suburban commute into London on a regular basis will know what I mean. The Monday-morning commute is spent checking my diary for the week and addressing any urgent emails. I read FT.com for the big headlines and specifically for news relating to key clients and sectors, which is essential reading. I also look at the breaking news headlines on Sky. It is my fourth month working at the FT and I love the short walk through Borough Market to the office at Southwark Bridge. Monday morning always involves a meeting with the team to discuss the week ahead and focus on priorities. This week we have several significant pitches and meetings to prepare for and so we look at what needs to be done and plan accordingly. I am heading to Zurich this evening with one of the team to attend client meetings on Tuesday, and my good travel karma continues. The flight is on time and we arrive in Zurich on schedule and not too late. I have a quick dinner and review our presentation materials for the following day. Up early to check emails and prepare for the meetings that day. I received the latest Ipsos GBI (Global Influencer Survey) early that morning and use the time before our first meeting to speed-read some of the highlights and update one of the presentations with relevant highlights. Part of my role at the FT is to lead the global research and insight team, so I am delighted to see the latest GBI results. The FT ranked highly as a trustworthy brand and was named the most "Important Business Read" by "European business influencers". The meetings in Zurich go well. On our way to the airport I receive a great email from one of the clients we have just met, which is positive, uplifting and a great way to end the day. The commercial B2B team has been working hard for the past few weeks with the team at UM on the Exxon campaign, and it’s great to see the campaign launch – it looks fantastic. In the evening, I watch an episode of W1A, which makes me laugh, and I text my cousin who works at the BBC to poke some fun. It is an offsite strategy day with some of the commercial team, led by Jon Slade, chief commercial officer at the FT. There is lots to discuss and we cover a pretty broad range of subjects, including GDPR and some of the ongoing industry issues around trust and transparency. The FT has a commercial charter, which was put together at the end of 2016 to help address some of these issues with clients and agencies head-on. I make a mental note that we need to share the charter more widely, and arrange a meeting with some of the FT commercial marketing team to discuss. A highlight of the day is getting to spend time with some of my Japanese and US colleagues, whom I don’t get to see as often as I would like. We have a fascinating discussion about cultural differences, both professional and personal, in our respective regions. A drink in the bar is a welcome way to end the day. Everyone is on great form and the stories and anecdotes are coming thick and fast. After 18 years working on the other side at media agencies, it was quite a decision to make the move to the publisher side, but I am incredibly happy to be part of such an impressive team, led by Jon. I am unashamedly proud to represent the FT brand. Breakfast meeting at Caravan with John Pentin, VP global sales, and Mark Bembridge, CEO, of Smartology. It’s great to catch up and we talk about product and new business. As usual, we discover that we all know many of the same people and have a gossip about some industry friends and news. I decide I need to discover a new breakfast, as this much avocado and chilli cannot be good for anyone. Five minutes later, I’m back in the office and plunged into a day of meetings, the first of which is with Ros Shaw, MD of Alpha Grid, which is part of our content marketing studio FT2. Every meeting I have with Ros is super-high energy and we both talk 19 to the dozen about numerous upcoming projects, as well as discussing plans for other client ideas that we want to work on. An hour is never enough, but we both have a day of meetings and so we wrap up and dash off in different directions. Next up is an internal meeting to discuss an upcoming agency brainstorm on Cryptocurrencies that we are hosting the following week. It’s a fascinating subject and we are lucky enough to have one of our fantastic tech journalists Maija Palmer join the meeting to bring expert knowledge and perspective. The commute home consists of reading more emails and then listening to an audio book. I am currently listening to A Room with a View, which is an old favourite and the easiest way for me to switch off. I am doing the school run this morning, which is my favourite way to start the day, aside from the fact that my eight-year-old son refuses to listen to anything but Capital. I pretend to mind, but secretly I quite like us singing along to Ed Sheeran. I know the words, but he makes them up, which is even funnier. I have an internal status meeting first thing and then head down to my desk. I have managed to block off two hours to write a presentation and get some ideas down for the B2B offsite that I'm hosting at the end of October. Lunch is with my old friend and colleague Liz Jones from Dentsu, where we cover a full range of topics from clients and pitches to childcare and everything in between. Great fun, as always, and a nice Friday treat. Friday afternoon is full of conference calls with the US team to catch up on projects we are working on across the teams in London and NY. Before I leave for the weekend I jot down some ideas and priorities for the following week. It has been a great week and on my walk back through the market to London Bridge I buy a mountain of cheese and then sprint to get my train so I can get home for dinner with the family (and the cheese! ).